The children she nutured now, nuture their own. With recipe’s she cooked, stories she told, strength’s she helped develop, with a magnitude of love and endless laughter. 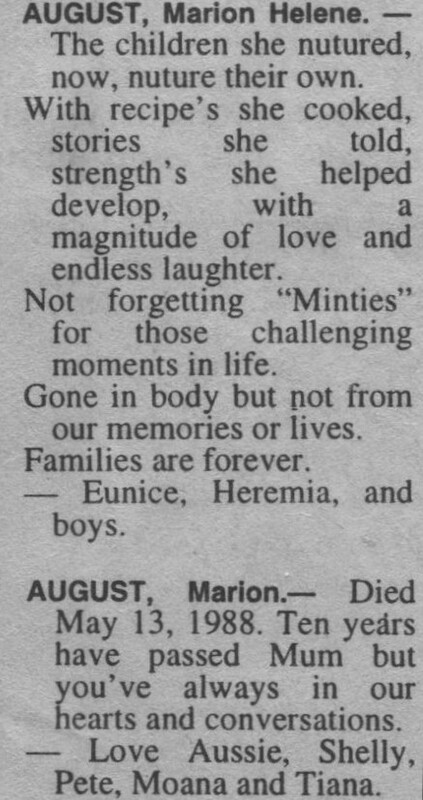 Not forgetting “Minties” for those challenging moments in life. Gone in body but not from our memories or lives. Ten years have passed Mum but you’ve always in our hearts and conversations. Love Aussie, Shelly, Pete, Moana and Tiana.